Earlier today, I posted some opinions related to the fact that growth hacking has begun to be seen as a methodology willing to break the rules and take from others for it’s own benefit. 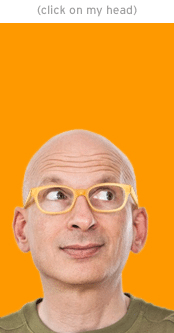 A reader forwarded this post by Seth Godin and while he analogy was specific to fast food manufacturers, it is always relavant to all of us that sell stuff to other people. Are you focused on that value? Are you taking responsibility for what you are pitching and how you pitch it?